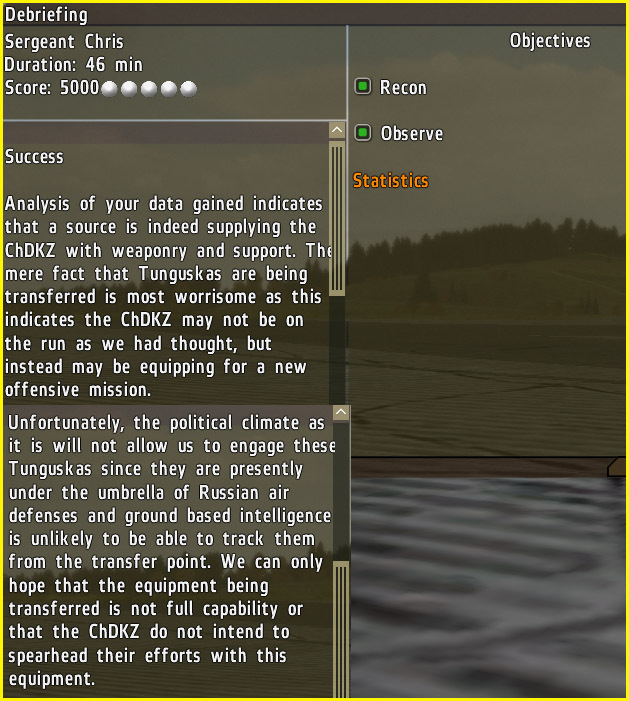 In our last mission, we determined that ChDKZ forces were likely being supplied with fresh equipment from Russian interests (black tape over the patches gives plausible deniability!). 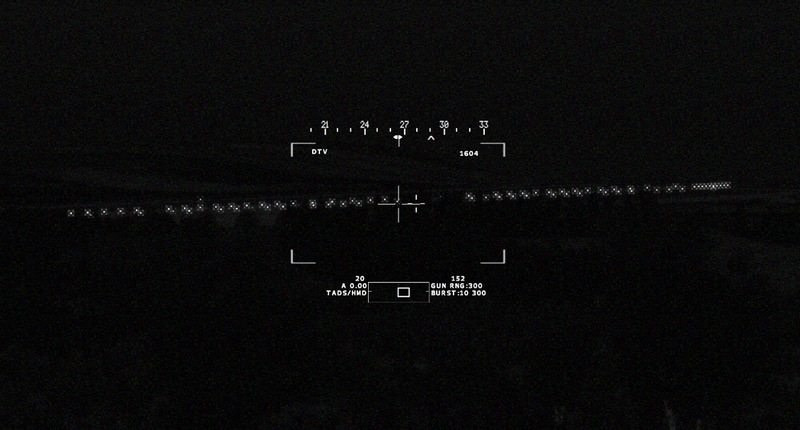 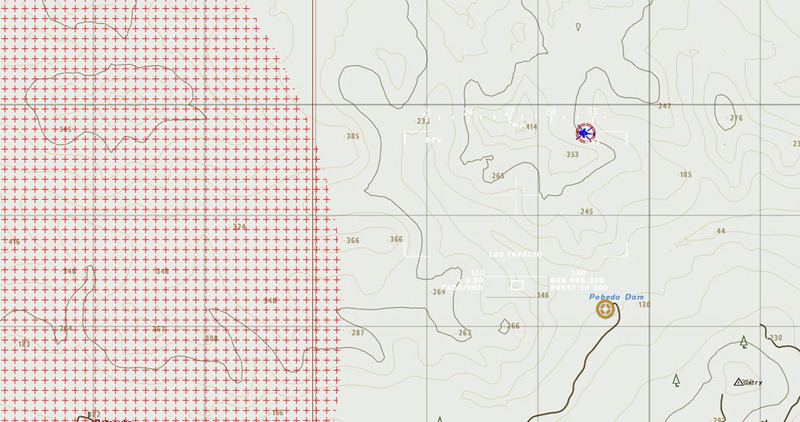 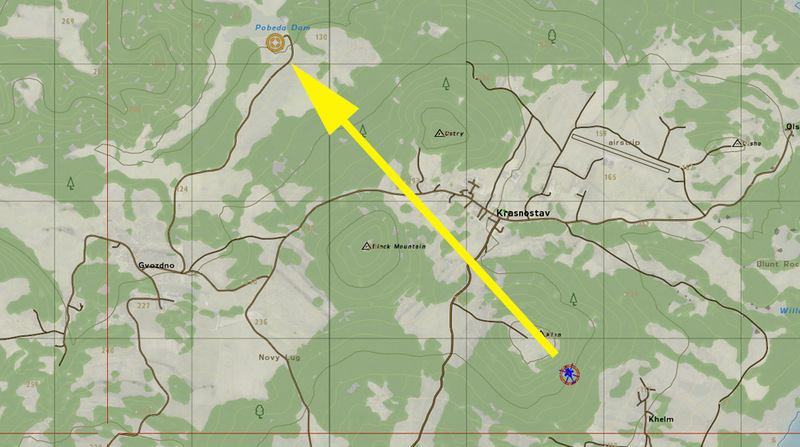 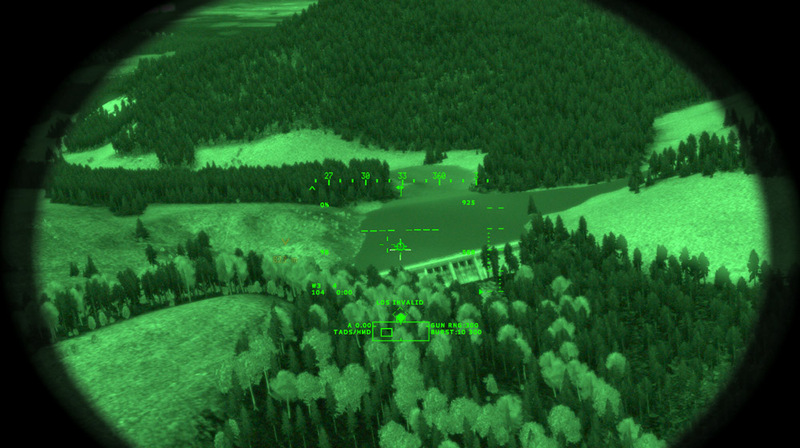 In order to gather more evidence, our task for tonight is to do a recon in the central area of our AO. 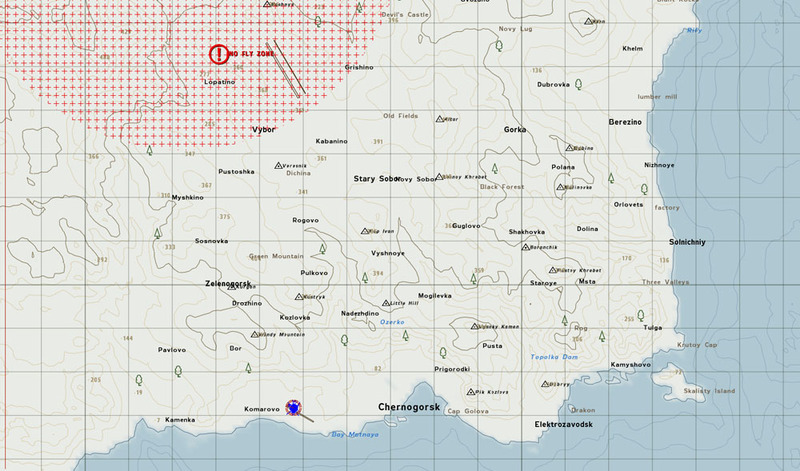 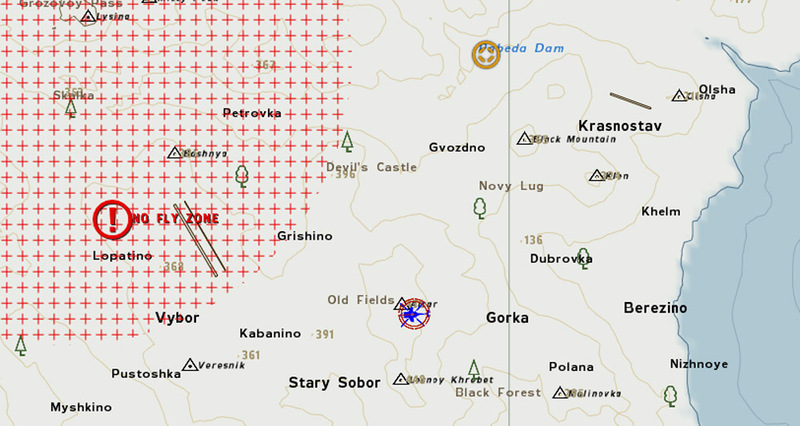 Permission has been granted to lightly probe the Russian no-fly zone. 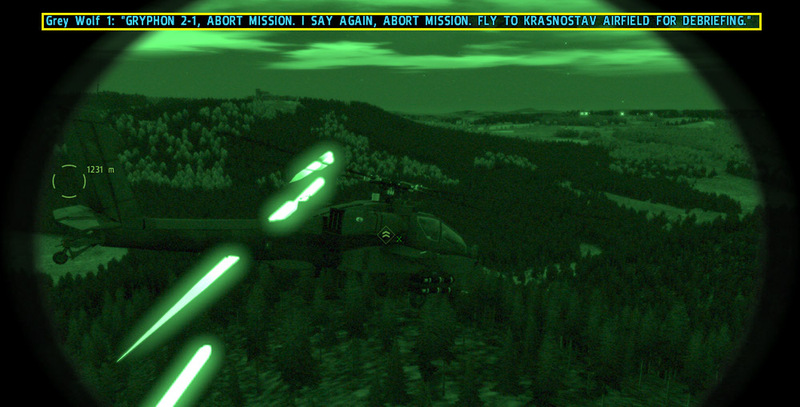 As I round a hill my pilot flares a bit too aggressively (a serious problem with AI pilots) and we briefly unmask. 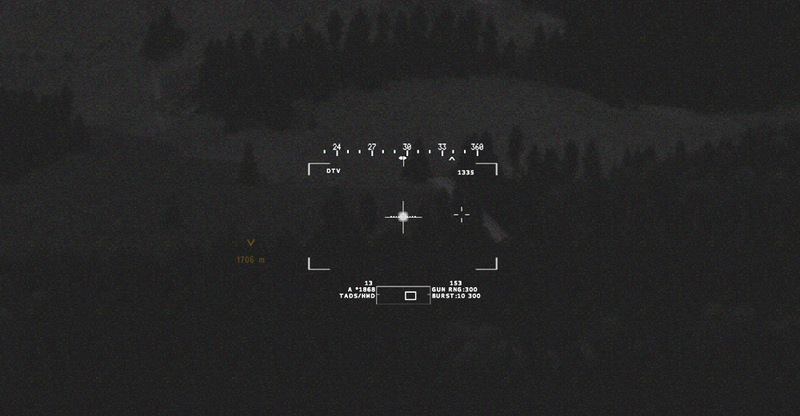 A laser like stream of tracers comes flying out of the darkness to our right and bowling ball size rounds zip over the canopy! 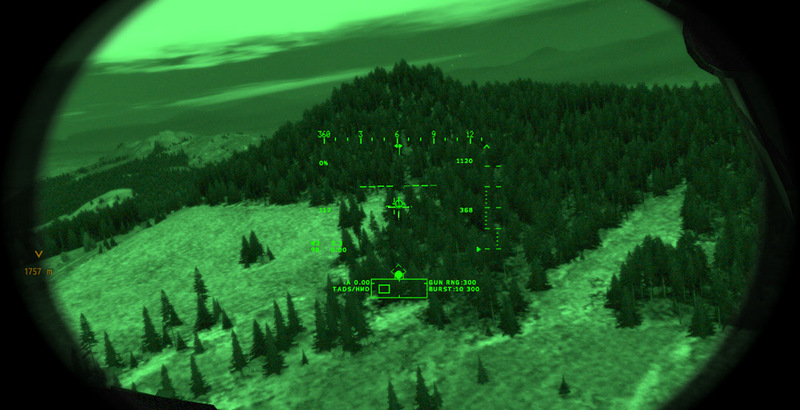 I quickly order a position change and cringe as more AA fire grazes the canopy. 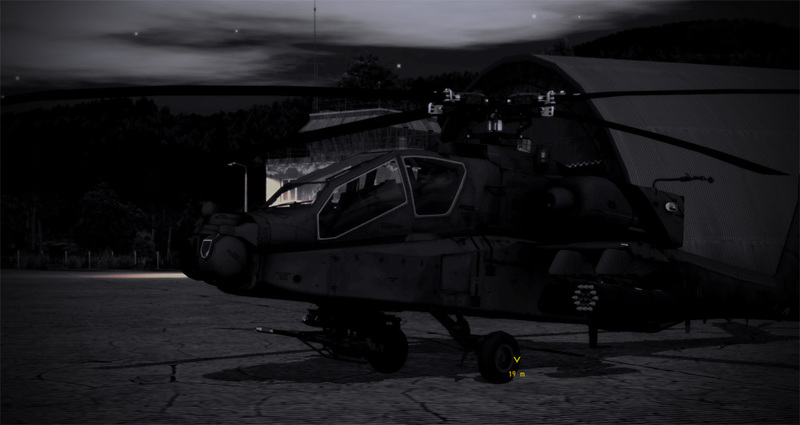 Good to know base confirms my report..I might be able to bring them back evidence embedded in my airframe! 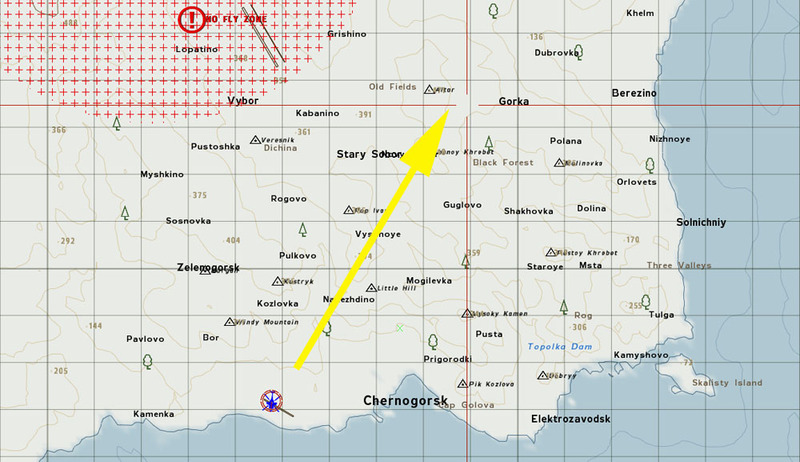 Analysis of the mission is obvious, but touches on the complexity of the situation (and very much mirrors delicate situations in Ukraine).. 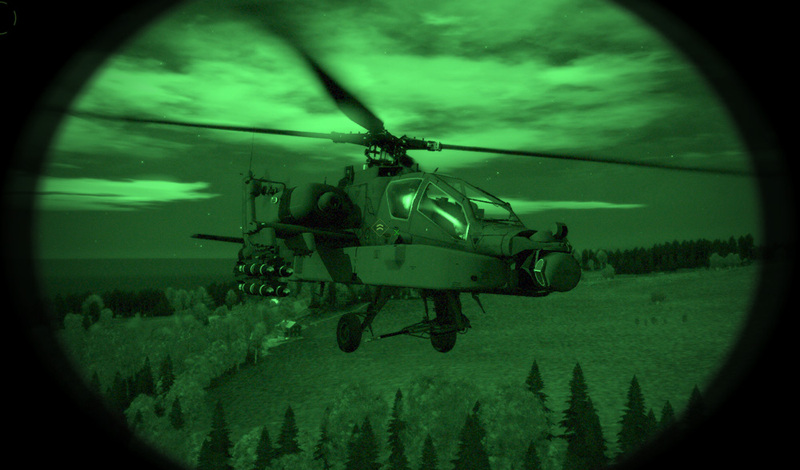 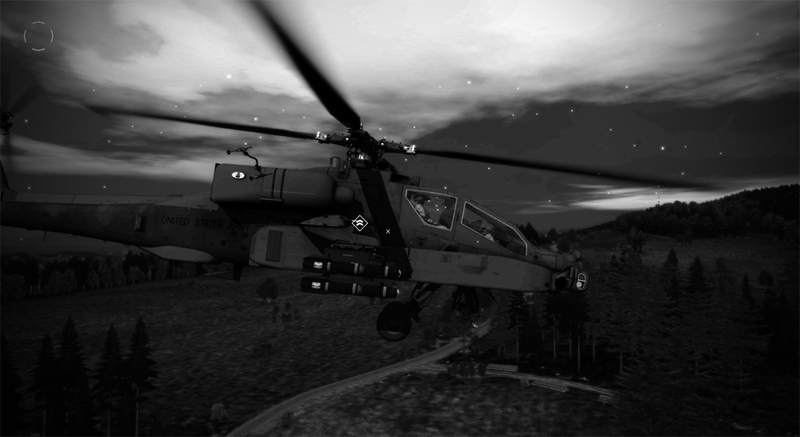 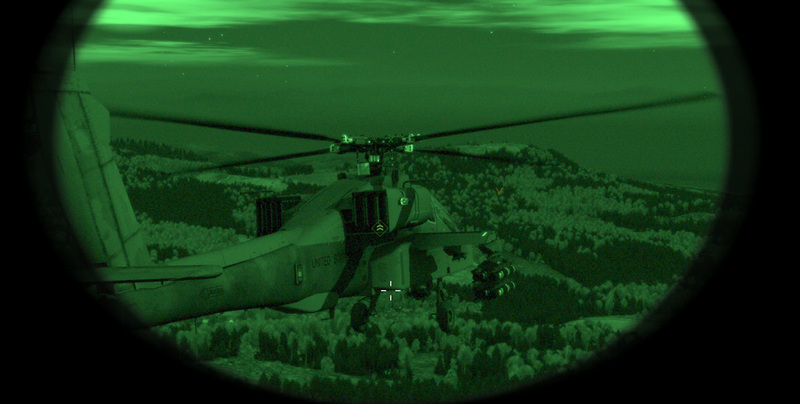 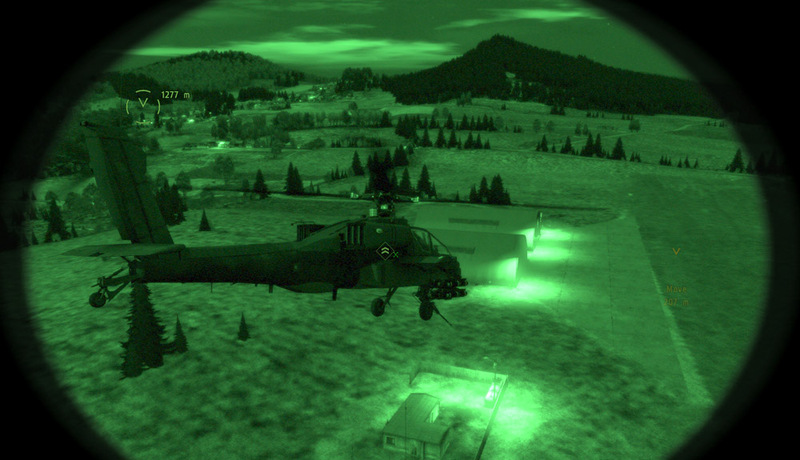 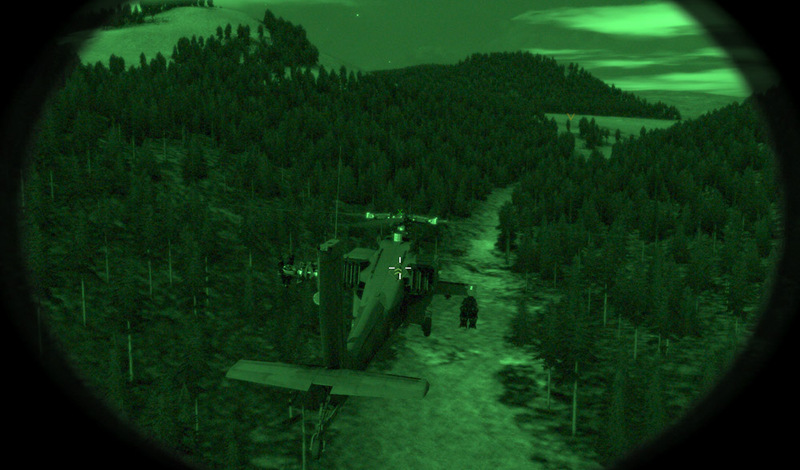 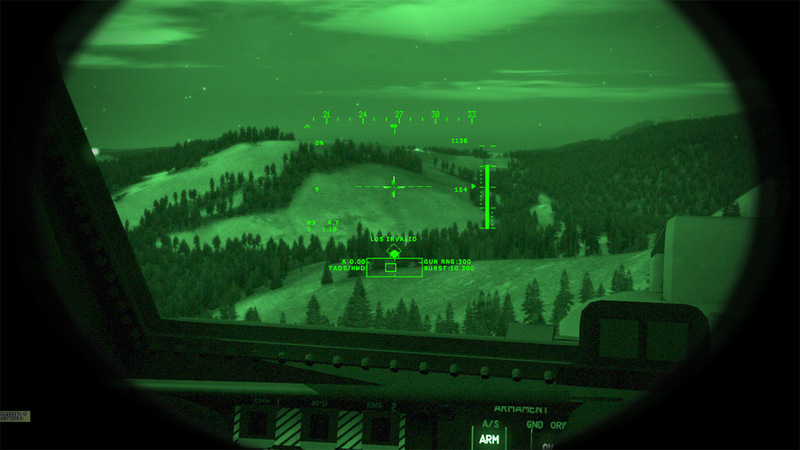 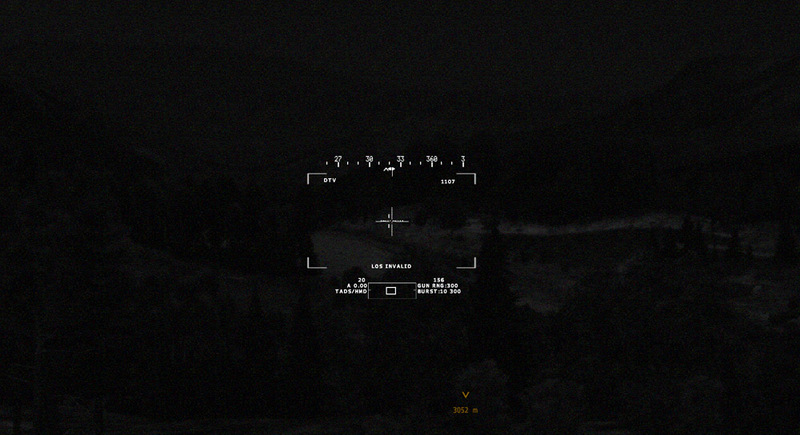 This mission was a nice mix of night flying, searching, and trying to stay alive under strict rules of engagement. 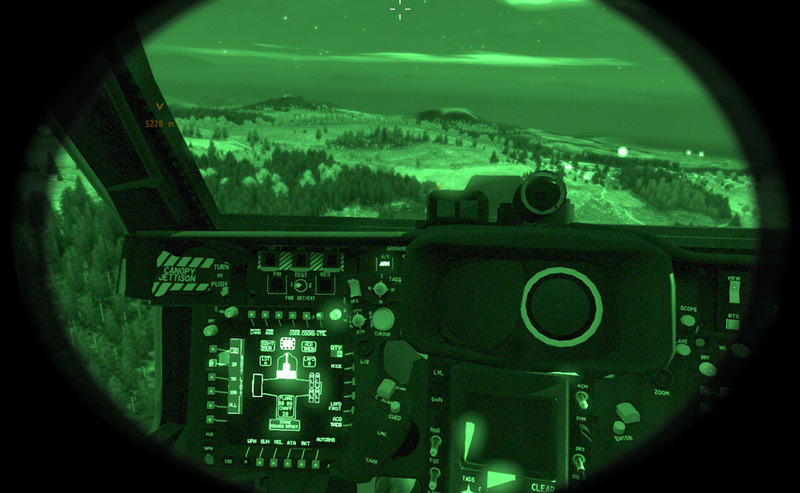 I’m starting to get sucked in and am anxious to fly the next mission already. 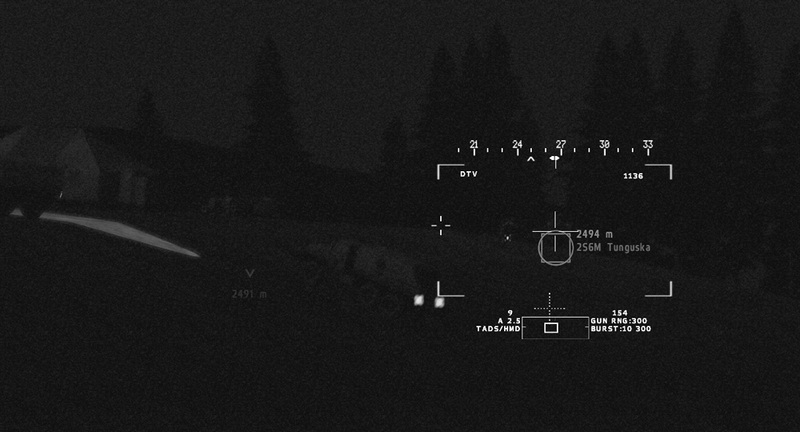 Nice job to the campaign builders!